Where would we be without the humble onion? Onions are a food staple because they are a nutrient powerhouse and they flavour food like no other vegetable. Whether raw, sautéed, baked, barbecued or steamed, it would be difficult to imagine the cuisine of any country without them. Onions are Australia’s fourth largest vegetable crop accounting for 9 per cent of total vegetable production. Australians consume approximately 7.8kg per capita each year. Across Australia, there are about 300 commercial onion growers. 231,484 tonnes of onions were produced in Australia in 2015 with the total value of production $135.5 million. The wholesale value of the fresh supply was $143.3 million. Australia is a net exporter of fresh onions. In 2015, Australia exported 39,420 tonnes of fresh onions, with Belgium the biggest importer. Significant reductions in on-farm diesel use have been made over the last decade, as has electricity efficiency in pumping irrigation water. Relative to other horticultural crops, the onion industry has low energy input per tonne of crop and low ML/ha for irrigation. The onion industry was the first horticultural commodity group to participate in National Residue Survey (NRS) testing for agricultural chemicals and environmental contaminants. Since 2000, NRS random residue testing programs have collected and analysed 1,551 onions samples for chemical residues from packing sheds and central markets. The Australian onion industry has a 100 per cent compliance rate with Australian standards. 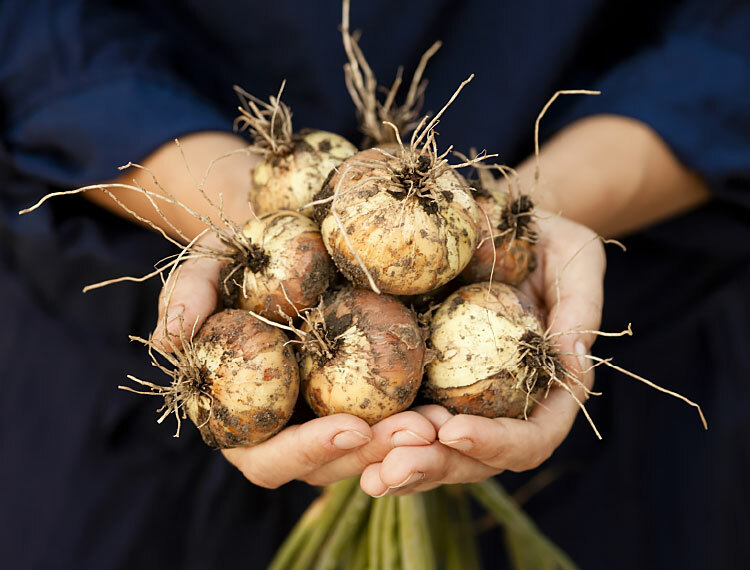 These results demonstrate Australian onion growers use in-crop and postharvest agricultural chemicals according to best agricultural practice, and overseas and domestic customers can be assured of the residue and contaminant integrity of Australian onions. The chemical groups covered in the multi-residue screen include fungicides, insecticides and herbicides. Randomly selected samples are also analysed for the heavy metals cadmium, lead and mercury.